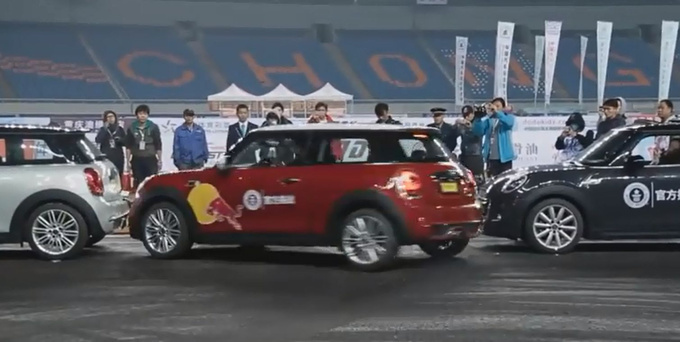 Chinese drifter and stuntman Han Yue just broke the parallel parking world record squeezing a Mini between two parking vehicles, into a space just 8 cm bigger than his car. He beat the previous world record set by British driver Alistair Moffatt by just over half a centimetre with a parking technique that will blow your mind. 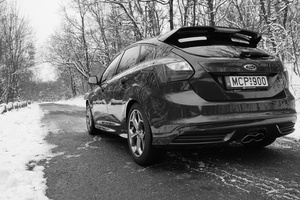 He had set a similar record before, parking in a space just 15 cm longer than his car in 2012, but that record was beaten by 6.4 cm by Moffatt last July. Reclaiming his crown Yue certainly didn’t leave anything to chance and put on an incredible performance parking in the impossibly tight spot without his Mini even touching any of the two parking cars. The Guiness World Records people were present to verify his record. Need proof Mr. Yue is a madman? He didn’t stop at breaking the parallel parking world record. No, teaming up with fellow stunt driver Zhang Shengjun he broke the record for the most donut spins around a car driving on two wheels as well.